Us backpackers are always on a budget. Even those who have saved up loads of money know all too well how quickly money can somehow magically disappear out of your bank account. That’s why we LOVE FREE STUFF! We go crazy for the complimentary tea and coffee in the hostels, and lose our s*** if there’s free pancakes going! If you’re going to be visiting Auckland there’s loads of free stuff to do, so you can hold on to your pennies for more important things like… errr beer? Having undergone a major renovation, Auckland Art Gallery re-opened in 2011 with a look that rivals even the most famous galleries in the world. The entry to the gallery is free and they even often free guided tours so you can learn about the art and artists (do that and impress your friends with your new ‘’artsy’’ knowledge!). Open every day (except Christmas day) you’ve got no excuses! Goat Island Marine Reserve is an amazing spot for snorkelling and diving. Diving is never free (unless your dating a diving instructor), but if you’ve got your own snorkelling gear then go get yourself up and close to some seriously cool and colourful fishies! 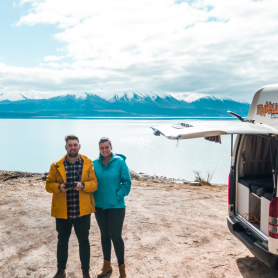 Only an hours drive in your campervan from Auckland, if you’re into your marine life then this is a definite must! Yes, you heard right. You can walk coast to coast along the narrowest neck of New Zealand starting at Viaduct Harbour on Aucklands east coast and ending at Manukau Harbour in the west. There aren’t many places in the world where you can walk from one ocean to a totally different one in just a few hours. The 16km walk takes you across an amazing variety of landscapes which are sure to take your breath away. From suburban streets, through to urban parks and volcanic cones, grab your walking boots, pack the sandwiches and get your hike on! 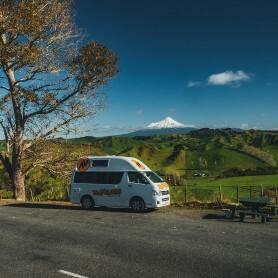 Escape the city and take a short drive to Manukau Heads, a place with rich history, character and natural beauty. This place is still a hidden gem, remaining unknown to many Aucklanders. 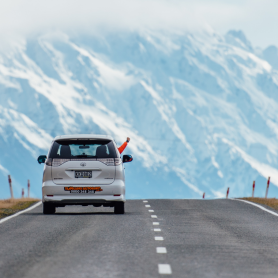 When you drive along the coastal cliff top roads of Awhitu Peninsula expect to see vast panoramas across wild, black-sand beaches. Manukau Heads Lighthouse is the pinnacle of the Awhitu Peninsula and is one very few lighthouses that you can climb to the top of. Although there isn’t a set charge to climb the lighthouse, to ensure the lighthouse is around for years to come, donations are greatly appreciated. 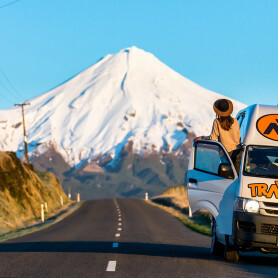 So now you’ve got an idea of all the fun and FREE things you can get up to in Auckland, how about hiring a campervan from Travellers Autobarn to help get you there?